Bruce Boguski, author, motivational speaker, columnist, and media personality well known for his ability to inspire others to “do the impossible”. Bruce holds a B.S. degree in business and education from Bowling Green State University. He also possesses a Level Two Certification in Brain Based Learning Strategies. Bruce knows firsthand the attitude and skills required to overcome physical and mental challenges. At age 18, Bruce was partially paralyzed in an automobile accident. Although doctors warned that he might never walk again, he left the hospital a few months later under his own power. After a two-year struggle to regain full use of his body, Bruce went on to become a two-time state champion in Racquetball and played on a state championship softball team. He later served as head baseball coach and assistant football coach at Van Buren High School and the men’s and women’s tennis coach at The University of Findlay. Today, Bruce is President of The Winner’s Edge, a peak performance consulting firm in Findlay, Ohio. He is a nationally known presenter on motivational tactics and mental toughness training for schools, sports and business professionals, using high-energy, interactive techniques to inspire and delight his audiences. Bruce speaks to educators, parents, students, athletes, and business professionals and has conducted over 2200 presentations over the past 27 years. 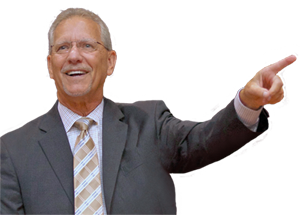 Bruce has addressed virtually every group imaginable at dinner meetings, school assemblies, conferences, seminars, and clinics.